Remove the hog rings that secure the rear seat cushion cover to the pad. Pull the cover away from the pad to disengage any retainers. 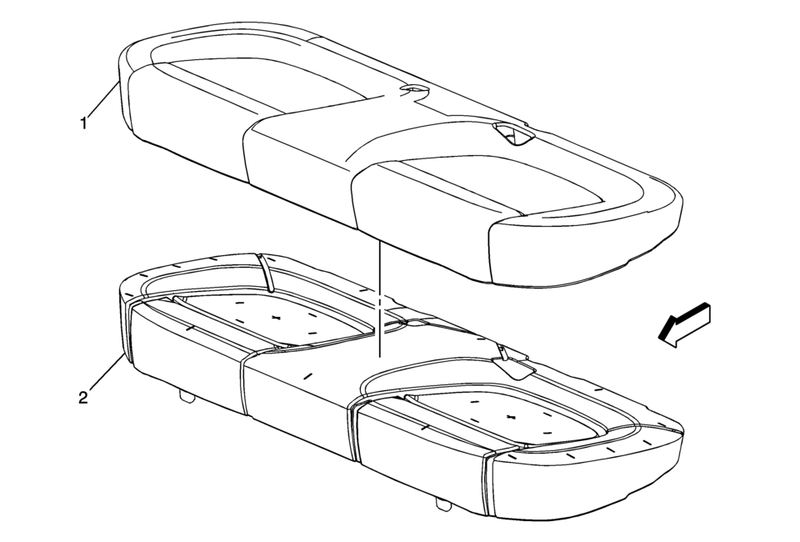 When installing the rear seat cushion cover, pull the cover tightly in all corners to ensure that no creasing occurs.